MIAMI, Florida (January 31, 2019)—The Inter American Press Association (IAPA) once more took a stance concerning the arrest of journalists in Venezuela and urged the Nicolás Maduro regime to carry out the prompt release of the detained and imprisoned colleagues and comply with the international law and conventions that protect the free practice of journalists in conflict zones. Among those detained in recent days are reporter Rodrigo Pérez and cameraman Gonzalo Barahona of Chilean television channel TVN; an EFE news agency team made up of Spanish journalist Gonzalo Domínguez Loeda, reporter Maureen Barriga Vargas and photographer Leonardo Muñoz, both Colombians, and Venezuelan driver José Salas. 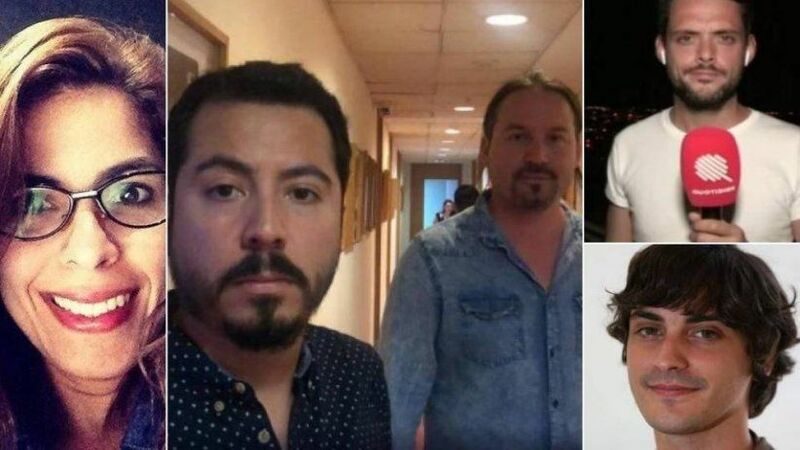 Also detained were Frenchmen Pierre Caillet and Baptiste des Monstiers, reporters of the TF1 channel program Quotidien and its local producer Rolando Rodríguez, and Venezuelans Maiker Yriarte of TV Venezuela and Ana Rodríguez of VPitv. This month also detained temporarily and prevented from carrying out their work were Rodrigo Lopes, sent specially to Caracas by Grupo RBS of Brazil, and female Venezuelan journalists Osmary Hernández, correspondent of CNN channel and Beatriz Adrián, correspondent of Caracol Noticias of Colombia. Meanwhile journalists Jesús Medina Ezaine of the website Dolar Today and Billy Six, a German freelance documentary maker, remain in jail since last year. According to the National Press Workers Union there have been detained in just two days 11 journalists. IAPA President María Elvira Domínguez, editor of the Cali, Colombia, newspaper El País, declared, "With the daily offence against the people's right to freely meet and against the freedom of journalists to carry out their role the Maduro government increasingly unveils itself as an oppressive dictatorial regime that seeks to hang on to power with more repression and violence." Domínguez, together with Roberto Rock, chairman of the IAPA's Committee on Freedom of the Press and Information and editor of the Mexico City, Mexico, news portal La Silla Rota, called on the Chavistic regime to "respect press freedom and the free practice of journalists in areas of conflict or in daily coverage, rights that emanate from declarations and conventions of bodies of the Organization of American States and the United Nations Organization and which form a substantial part of the Inter-American Democratic Charter, which Venezuela has committed itself to comply with." Referring to the Declaration of Chapultepec, which celebrates its 25th anniversary this year, the two stressed that the IAPA has been denouncing from the outset the Chavistic atrocities against the press sinc it took office in 1999. "Including in moments when Venezuela was not in the spotlight like now, we have been denouncing this regime which unmasked itself as not democratic, for the harsh repression that it has always used against press freedom."